Yes, yes. Everyone’s heard the stories of authors who get rejected a bunch of times and still go on to be very successful. Everyone knows it’s easy to say that AFTER you’ve made it, but while you’re going through it, it feels like every rejection is proof that you can’t do this. It’s true that maybe the one you’re trying to sell, or the one you’re looking for representation for, isn’t “the one,” and sure, you won’t know until later whether a different project is the one that will get you off the ground. 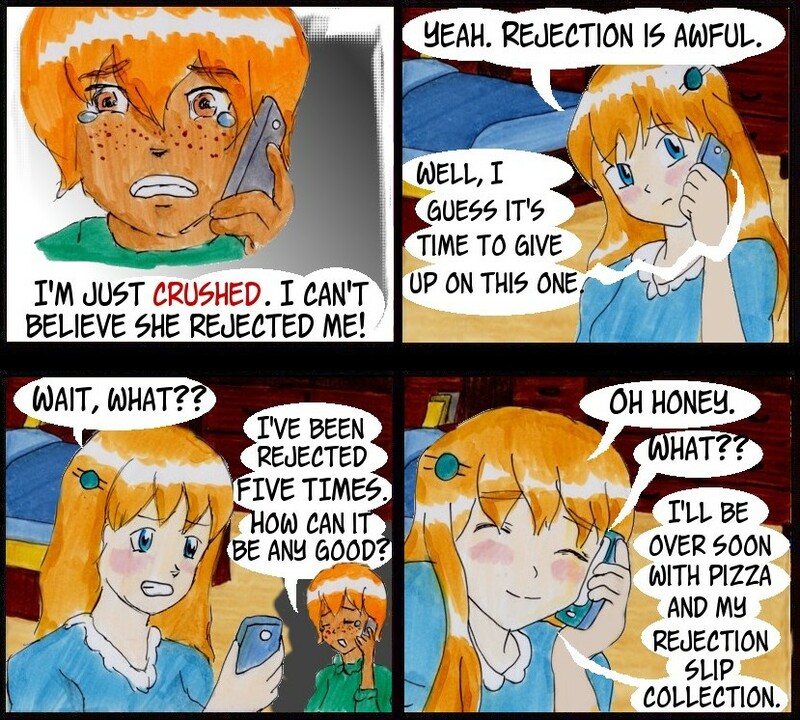 But five rejections . . .
. . . let’s just say five rejections is not a lot. But I know it’s hard and you’re allowed to be sad.